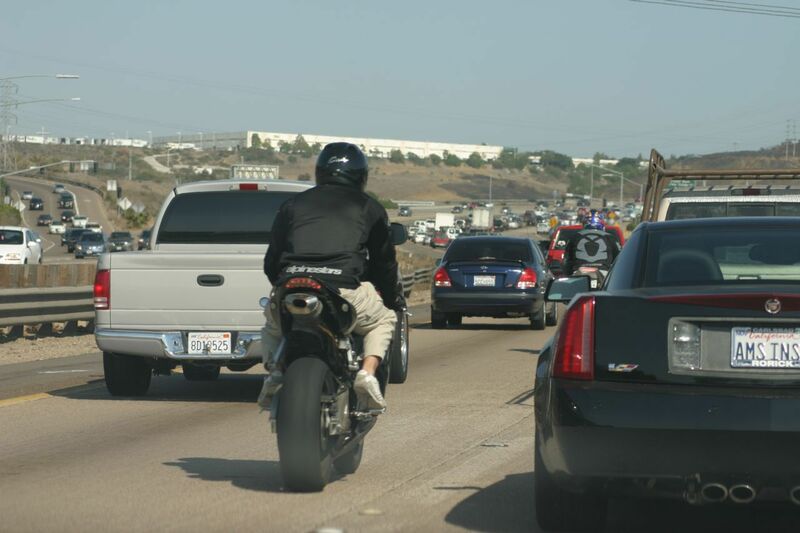 One of the most controversial issues when it comes to motorcycle safety is lane splitting. No matter what your stance is on the subject, one thing is clear – lane splitting is not legal in Washington state. Lane splitting is riding a bicycle or motorcycle between lanes or rows of slow moving or stopped traffic moving in the same direction. The practice is sometimes called lane sharing, white-lining, filtering or stripe-riding. Lane splitting can save motorcyclists time, allowing them to bypass heavy traffic. Illegal lane splitting in Washington state carries a $136 fine. Depending on how erratic the driving is or if there’s a passenger, motorcyclists could be charged with reckless driving, illegal passing, endangering others, etc. California is the only state that allows legal lane splitting, passing a law in 2016, though it had been common practice there for many years without a law preventing it. A push was made in 2017 by Washington state legislators to make lane splitting legal. A bill passed through the Senate but stalled in the House. Washington State Patrol and the state Traffic Safety Commission argued that lane splitting is unsafe and would not help reduce the fatalities or catastrophic injuries that often result from a serious motorcycle accident. A 2015 study by the University of California at Berkeley found lane-splitting appeared to be a “relatively safe” strategy if it’s done in traffic moving at 50 mph or less and motorcyclists don’t exceed other vehicles’ speed by more than 15 mph. The study also concluded that lane-splitting motorcyclists were less likely to suffer head or torso injuries or die in a crash than those who didn’t split. Legislation introduced in 2015 in Washington state that ultimately did not pass would have kept lane splitting illegal, but allowed shoulder driving by motorcyclists in some cases. It also would have opened shoulder driving to motorcycles where transit vehicles could drive on the shoulder. The bill did not pass. Motorcyclists can receive a ticket for driving on the shoulder which carries a $136 fine. If an accident occurs while a motorcycle is lane splitting, there's a good chance that the motorcycle rider was at fault for the accident. And if the insurance company finds out afterwards that the motorcyclist was riding dangerously or recklessly prior to the accident, that will severely damage a potential claim. But if a motorcyclist can prove that the other driver contributed to the wreck, the motorcycle rider may be partially or fully compensated for their injuries or property damage. If a vehicle was weaving between lanes, the driver was distracted, drunk, or high on drugs, it may be possible for the motorcyclist to prove the driver was at fault. While this type of motorcycle accident isn't that common, the results can be serious and possibly deadly. If you or a loved one has been injured in a motorcycle accident, it may be in your best interests to consult with an experienced personal injury attorney who has experience in successfully resolving motorcycle accident cases. 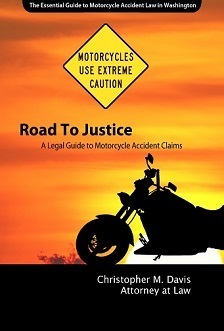 The award-winning attorneys at Davis Law Group are here to answer your motorcycle accident questions and help you determine if you would benefit from hiring an attorney. Call our office in Seattle at (206) 727-4000 or use the confidential contact form on this page to request a free legal consultation with our team.